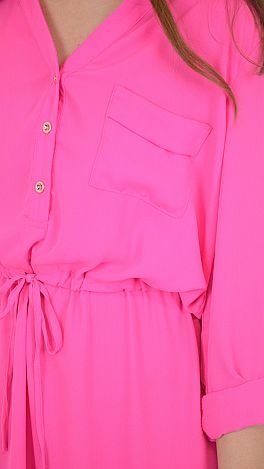 There are just so many things that we love about this dress it would be impossible to list them all! But we'll give you the basics: Double layered chiffon-like fabric is light and breezy while a drawstring waist is forgiving a versatile. 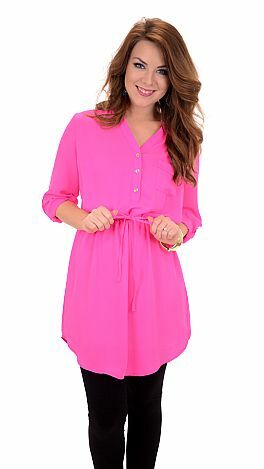 Wear it as a dress or wear it as a tunic in the fall - this dress will carry you through the year effortlessly! *Fabric is slightly sheer so Marlena layered over a slip. Fits true to size. Marlena is wearing a small. Length measures approximately: S-36.5" M=37" L=37"